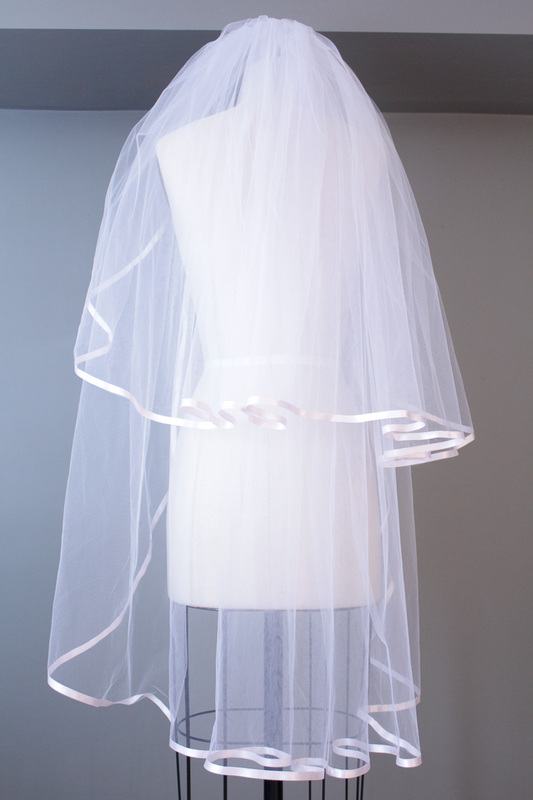 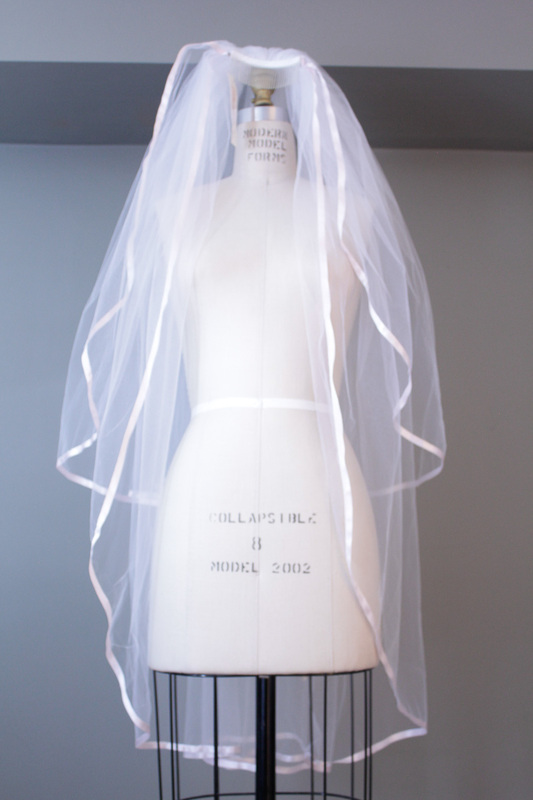 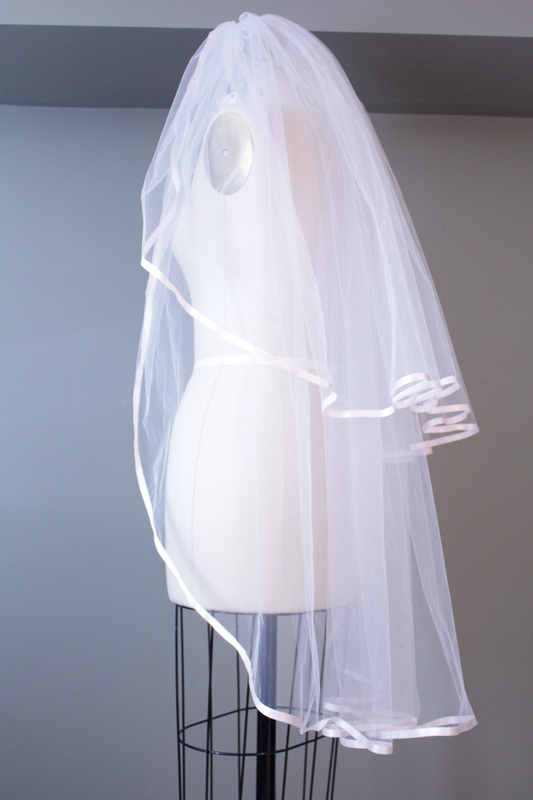 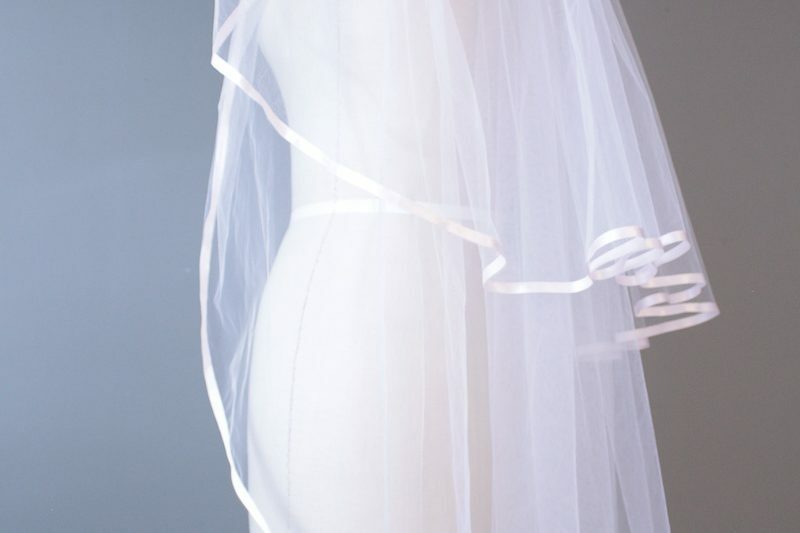 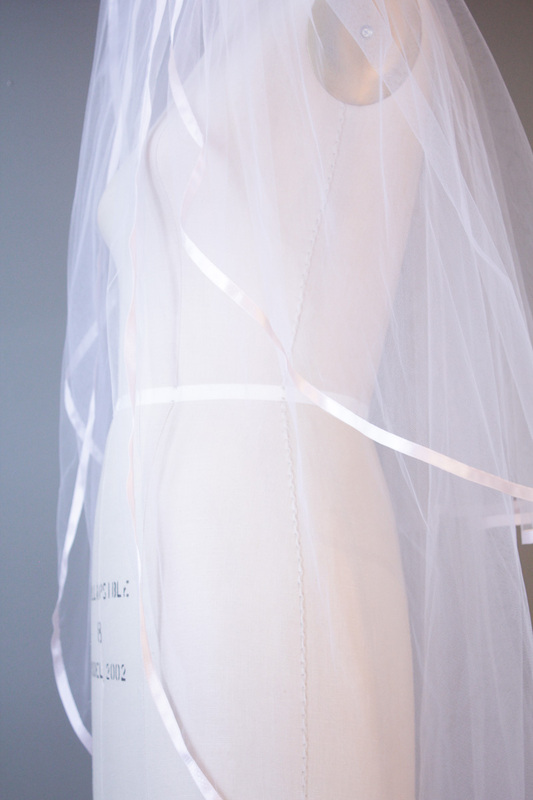 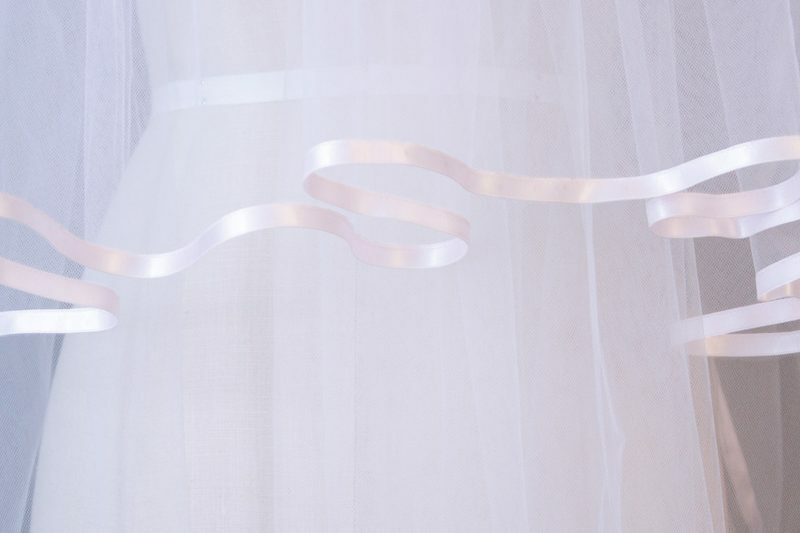 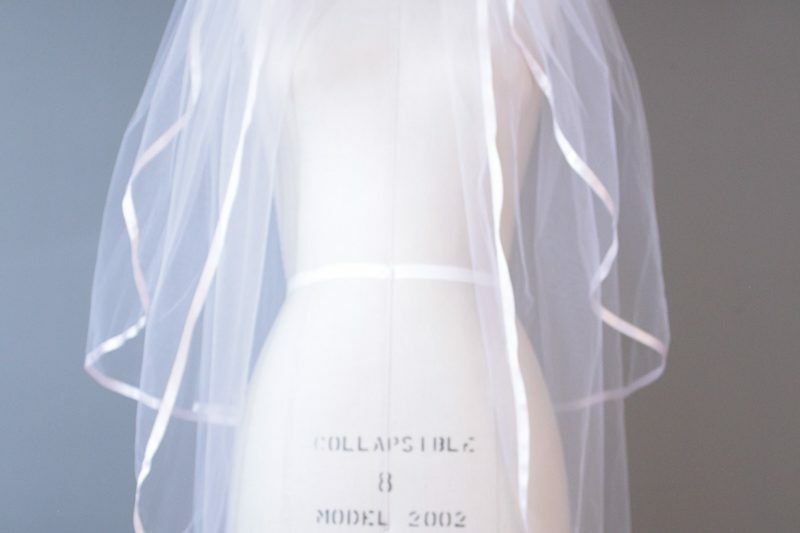 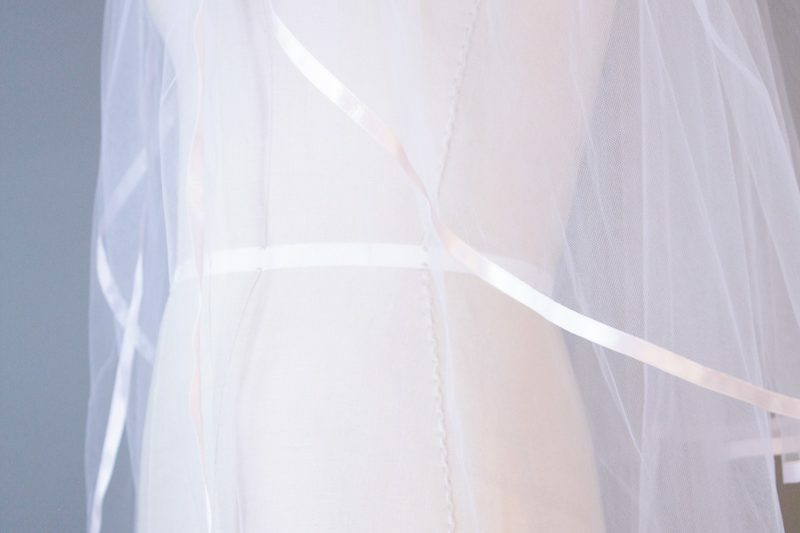 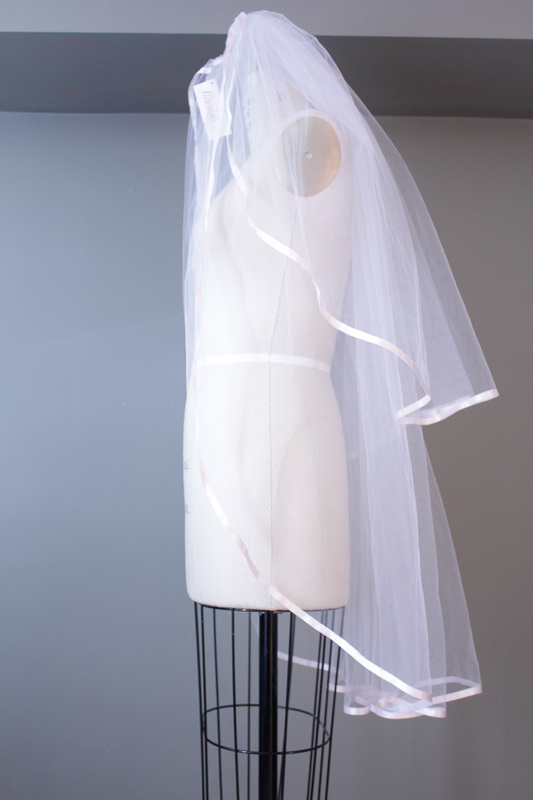 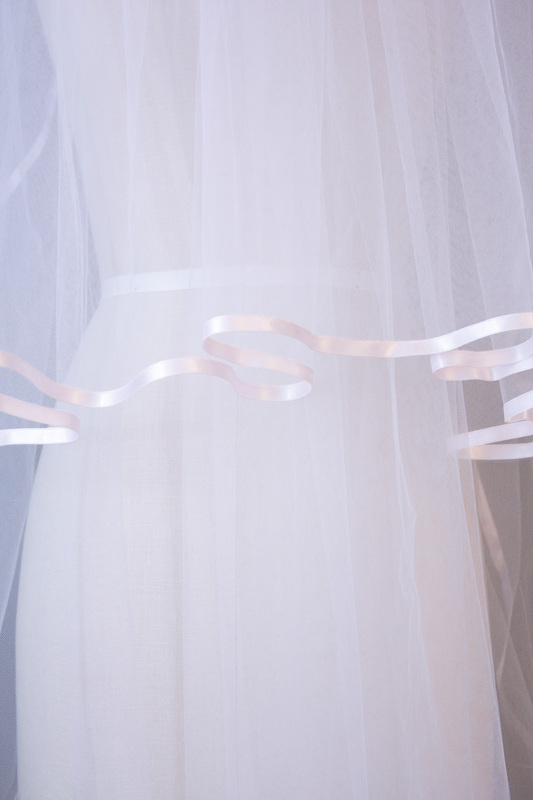 A classic piece with an updated edge, this satin veil is the perfect finishing touch on your special day. 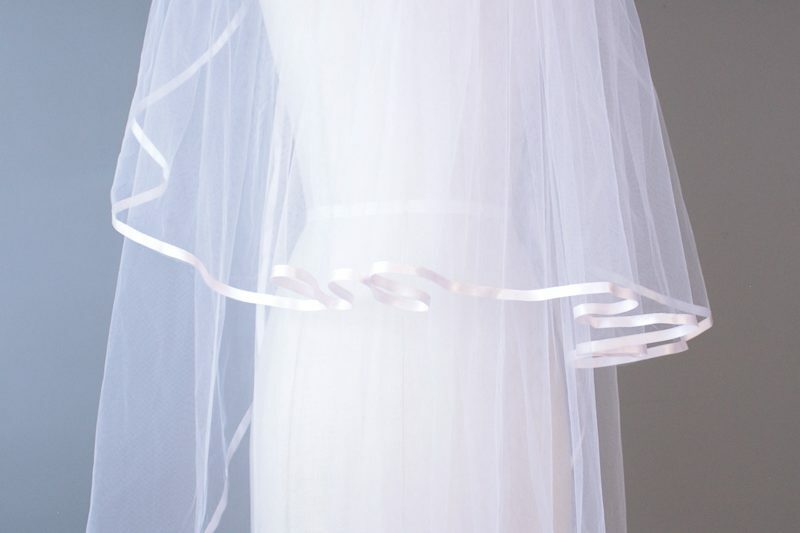 Satin ribbon edge veil comes with attached blusher. 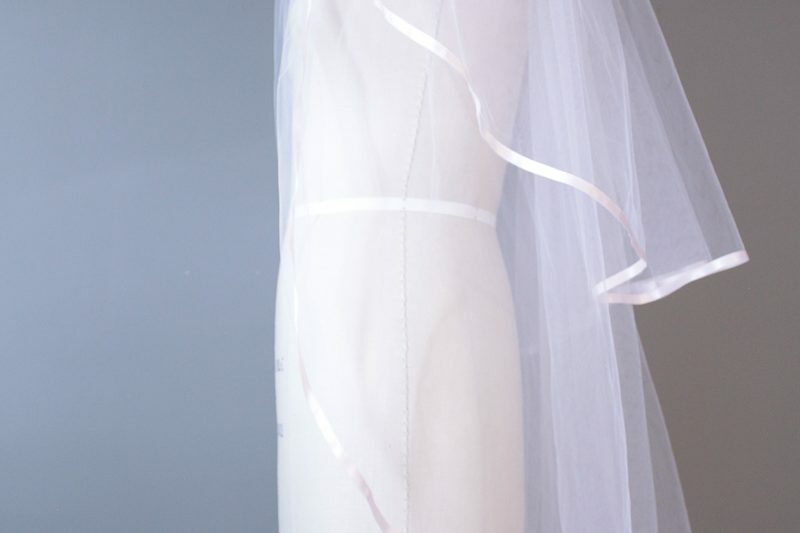 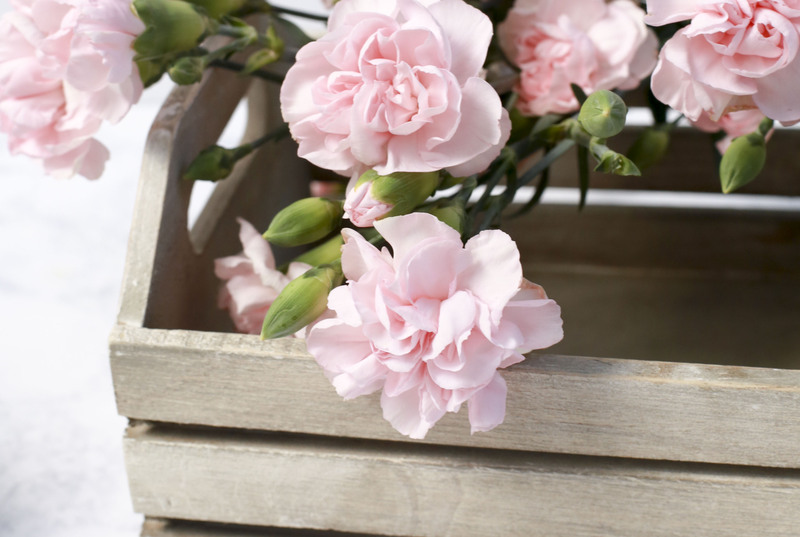 Edge is accented with pink ribbon trim.